What's the proper way to buy Aboriginal art? 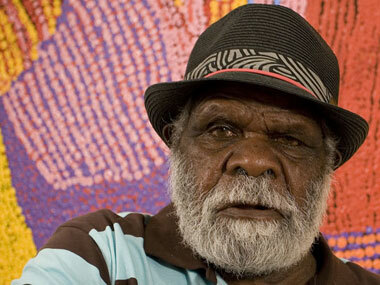 at News Aboriginal Art Directory. View information about What's the proper way to buy Aboriginal art? What's the proper way to buy Aboriginal art? There was a time when it seemed easy to answer the frequently asked question: What's the proper way to buy Aboriginal art? There are many ways to buy Aboriginal Art, ensuring the gallery is a member of the Indigenous Art Code is a good start, or by buying the artwork from a community art centre. But, to be frank, that wasn't really ever the whole answer. Even as the only gallery association to attempt to do the right thing in Indigenous art, the Indigenous Art Code has had their ups and downs in persuading all the best galleries to join, and in the difficult task of checking out cases where their members have been accused of unethical conduct. Now others have to grapple with a rapidly changing art market and increasing public demands for better ethics in dealing. And the perfect paradigm of the Aboriginal art centre has always been threatened by the recurring forces of the art centre environment, the cruel pressures placed on art centre coordinators by the loss of corporate memory about gallery relationships each time a coordinator departed, by the presence of carpet-baggers prepared to deal directly and not always ethically with Aboriginal artists, and by the essential freedom accorded to an artist to walk out of his/her community, to operate freelance or sign up with a single dealer. But it used to be a pretty good start. The Aboriginal Art Directory to read What's the proper way to buy Aboriginal art?